Marvellous has utilised mobile and digital media in its new work for the Royal Navy in a bid to motivate Engineers and educate them on the benefits of a Navy career. 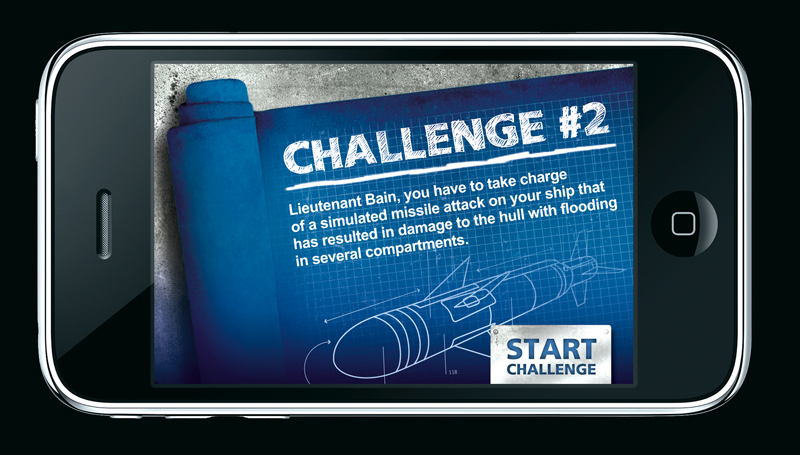 The agency has created an iPhone app and Facebook widget which invites users to participate in challenges which give an insight into a Royal Navy career. After each challenge the player is presented with video footage showing the impact of their decisions in the task. Once completed, their score is submitted to a leaderboard, with links to the Royal Navy website, or the Royal Navy Facebook page to find out more about career benefits.